Ella Reeve Bloor was born on Staten Island, on 8th July, 1862. Bloor grew up in New Jersey and after marrying Lucian Ware when she was nineteen, she was a mother of four by 1892. One of her sons was Harold Ware. Bloor became involved in several reform movements including the Women's Christian Temperance Union (WCTU) and women's suffrage and wrote two books, Three Little Lovers of Nature (1895) and Talks About Authors and Their Work (1899). In 1897 she joined with Eugene Debs and Victor Berger to form the Social Democratic Party (SDP). The following year she moved to the more radical Socialist Labor Party that was led by Daniel De Leon. 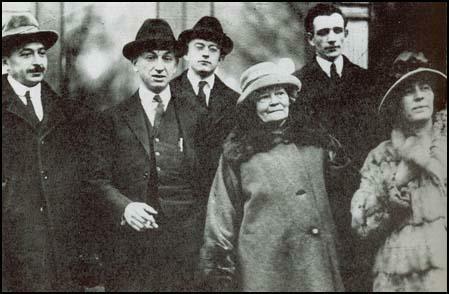 In 1902 she became a member of the Socialist Party of America (SPA). Other members included Eugene Debs, Victor Berger, Emil Seidel,Philip Randolph, Chandler Owen, William Z. Foster, Abraham Cahan, Sidney Hillman, Morris Hillquit, Bill Haywood, Margaret Sanger, Florence Kelley, Inez Milholland, Floyd Dell, William Du Bois, Hubert Harrison, Upton Sinclair, Victor Berger, Robert Hunter, George Herron, Kate Richards O'Hare, Claude McKay, Sinclair Lewis, Daniel Hoan, Frank Zeidler, Max Eastman, Bayard Rustin, James Larkin, William Walling and Jack London. Bloor worked as a trade union organizer and helped during industrial disputes in Pennsylvania, Michigan, Colorado, Ohio and New York. In 1905 she helped a fellow member of the Socialist Party of America, the author, Upton Sinclair, to gather information on the Chicago stockyards. This material eventually appeared in Sinclair's best-selling book, The Jungle. A leading figure in the party, she ran several times unsuccessfully for political office, including secretary of state for Connecticut and lieutenant governor of New York. Elizabeth Gurley Flynn first met Bloor in 1910 and later recalled that she "moved as if she were flying rather than walking". She herself said in her autobiography, We Are Many, that it was a "privilege and joy to carry the torch of socialism". 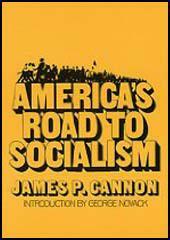 The right-wing leadership of the Socialist Party of America opposed the Russian Revolution. On 24th May 1919 the leadership expelled 20,000 members who supported the Soviet government. The process continued and by the beginning of July two-thirds of the party had been suspended or expelled. Some of these people, including Ella Reeve Bloor, Rose Pastor Stokes, Earl Browder, John Reed, James Cannon, Elizabeth Gurley Flynn, Claude McKay, Michael Gold and Robert Minor, decided to form the American Communist Party. By August 1919 it had 60,000 members. In 1921 and 1922 attended the Second International conventions in Moscow and was a member of the party's central committee (1932-48). By the 1930s she became known as "Mother" Bloor. Although now in her seventies she continued to play an important role in political life. According to Mari Jo Buhle: "She continued to maintain an active schedule, taking part in hunger marches, demonstrating on behalf of unemployed workers, and helping to build the Farmers National Committee for Action." Ella Reeve Bloor's son, Harold Ware, worked as a consultant to the Agricultural Adjustment Administration (AAA). Ware established a "discussion group" that included Alger Hiss, Nathaniel Weyl, Laurence Duggan, Harry Dexter White, Abraham George Silverman, Nathan Witt, Marion Bachrach, Julian Wadleigh, Henry H. Collins, Lee Pressman and Victor Perlo. The historian, Susan Jacoby, has pointed out that Hiss was the most important member of this group: "Hiss's Washington journey from the AAA, one of the most innovative agencies established at the outset of the New Deal, to the State Department, a bastion of traditionalism in spite of its New Deal component, could have been nothing more than the rising trajectory of a committed careerist. But it was also a trajectory well suited to the aims of Soviet espionage agents in the United States, who hoped to penetrate the more traditional government agencies, like the State, War, and Treasury Departments, with young New Dealers sympathetic to the Soviet Union (whether or not they were actually members of the Party). Chambers, among others, would testify that the eventual penetration of the government was the ultimate aim of a group initially overseen in Washington by Hal Ware, a Communist and the son of Mother Bloor... When members did succeed in moving up the government ladder, they were supposed to separate from the Ware organization, which was well known for its Marxist participants. Chambers was dispatched from New York by underground Party superiors to supervise and coordinate the transmission of information and to ride herd on underground Communists - Hiss among them - with government jobs." The Soviet agent, Whittaker Chambers, worked very closely with Harold Ware. 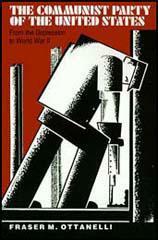 He was put him in touch by Joszef Peter, the "head of the underground section of the American Communist Party." It was claimed that Peter's design for the group of government agencies, to "influence policy at several levels" as their careers progressed". "The Washington apparatus to which I was attached led its own secret existence. But through me, and through others, it maintained direct and helpful connections with two underground apparatuses of the American Communist Party in Washington. One of these was the so-called Ware group, which takes its name from Harold Ware, the American Communist who was active in organizing it. In addition to the four members of this group (including himself) whom Lee Pressman has named under oath, there must have been some sixty or seventy others, though Pressman did not necessarily know them all; neither did I. All were dues-paying members of the Communist Party. Nearly all were employed in the United States Government, some in rather high positions, notably in the Department of Agriculture, the Department of Justice, the Department of the Interior, the National Labor Relations Board, the Agricultural Adjustment Administration, the Railroad Retirement Board, the National Research Project - and others." Harold Ware died on 14th August, 1935, following injuries received in a car accident in Harrisburg. In 1937 Bloor returned to the Soviet Union to celebrate the twentieth anniversary of the Bolshevik Revolution. Upon her return she published Women in the Soviet Union (1938), a pamphlet that praised the Soviet system of child care. After the German Army invaded the Soviet Union in June 1941, Bloor became an advocate of American participation in the Second World War. Later she argued for an early invasion of Europe to create a Second Front. Ella Reeve Bloor, whose autobiography, We Are Many, was published in 1940, died in Richlandtown on 10th August, 1951. In Moscow, amid great poverty, Ella Reeve Bloor wore lace dresses over silk coloured slips; also long strings of coloured beads, rings, etc. And she lived with an idiot. Earl Browder, a young, dainty man of some 25 or 26 who bought (and wore) baby-blue silk Russian smocks in the market; and long black silk ribbons which he wore as belts. And then he, with his baby white skin and fair toothbrush moustache, posed in Moscow as the delegate from the Kansas miners. So help me gawd!! It was awful! I was so disgusted I couldn't even protest. I hate female men above all. And then to have them say they represent miners when I know they haven't been within a thousand miles of a mine. And Mother Bloor posed as the representative of five or six organizations, from the far West to Massachusetts! When I joined the Social Democracy I was living in Brooklyn and I had married for the second time. My husband, Louis Cohen, was a socialist. I was pregnant with the first of the two children of that marriage. The railroad men (Debs supporters) came to my house so I could continue to act as local secretary. But a new disappointment was in store for me. The Social Democracy, I soon discovered, was a utopian scheme. Debs' plan was to form an ideal colony out West to show by example that socialism could work. From the outset I told the members of my group that this colonization scheme was unsound, not real socialism at all. I stayed with it for a while because of my loyalty to Debs, and because this was the nearest thing I had yet found to a socialist movement. Debs set up a paper in Chicago called The Social Democrat. At his request I wrote a children's column for it. The children answered the appeals of Debs and his colonization committee by sending me money. I felt it was unfair to collect money for something that did not yet exist. People were already selling out businesses to join the colony. A national convention was held in Chicago and our local sent delegates. Among them was my husband who still felt that anything Debs was in must be all right. I agreed to withhold final judgment until the delegates returned. When they came back and reported that plans to establish the colony would continue, I resigned. I simply could not stay with anything so unscientific.